When I start something, I go all the way. I just started doing Project Life this year. I quickly became obsessed. I scoured the web, Instagram, Facebook for all the inspiration I could slurp up. And man, there are some creative people out there. It was in September when I saw people talking about this thing called a "December Daily" album. 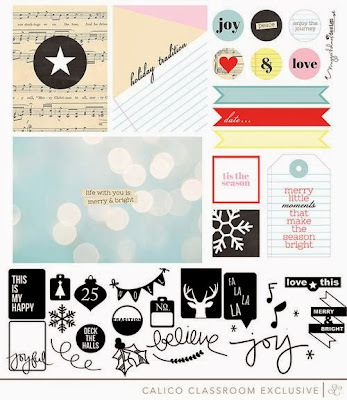 A scrapbook just for the month of December. I thought, "Well, that ridiculous. Who's got time for that?!" But then, of course... I caved. 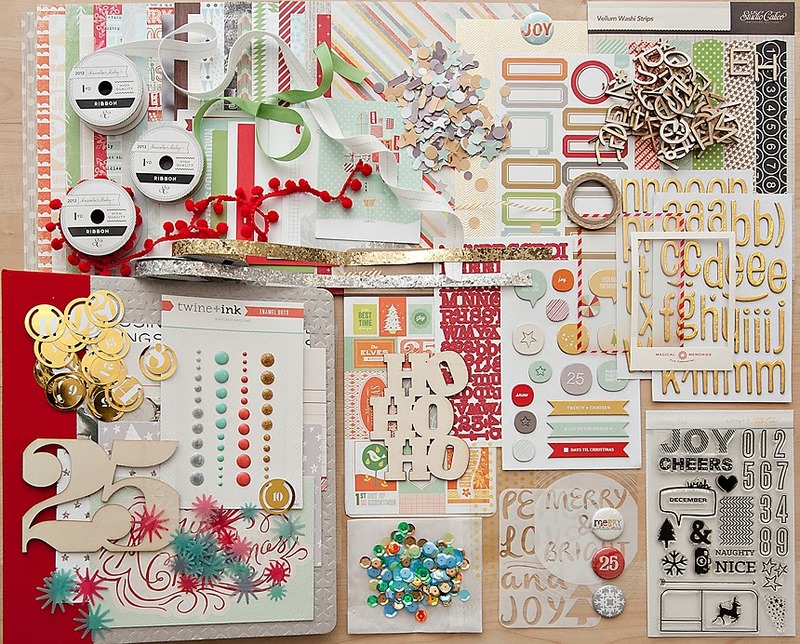 Ali Edwards and Studio Calico have teamed up to assemble this December Daily 2013 kit of all the goodies needed to create a beautiful December Daily album. It's virtually foolproof. Well, we'll see about that. Beautiful, right? Now, I have a pretty simple and straight-forward type of Project Life style. But I am kind of excited to glitz it up a bit in a December Daily album. The embellishments are beautiful and I'm looking forward to incorporating them in to the album. Of course, I won't be on my own during this project. Ali Edwards will have multiple posts and videos to help us all along the way. I have also found a few Facebook groups where we will encourage each other. And there is a class put on my Studio Calico called 25 Days taught by Maggie Holmes that will give me the extra push I need to finish by the end of the year. Plus it comes with extra goodies! "While supplies last, 25 Days students will receive a bonus class kit filled with holiday cheer. This kit will ship free, no matter how far Santa has to carry it." In my next post I will show you how I have prepped my December Daily album so far. I truly believe that the only way I will finish this album by the end of the year is to do some prep in advance. Are you doing a December Daily album, too? Done them in the past? Leave your links in the comments below. Purchase the Studio Calico December Daily 2013 kit here. Purchase the class "25 Days" by Maggie Holmes here.